Imja Tse peak, at a height of 6,160 meters, is more popularly known by the name of Island Peak. The peak was named Island peak by Eric Shipton’s party in 1953, as the peak resembles an island in a sea of ice when viewed form Dingboche. Later in 1983, the peak was renamed as Imja Tse. The peak was first ascended in 1953 by a British team as preparation for climbing Everest. Tenzing Norgay was one of the members who successfully ascended it. The peak is part of the south ridge of Lhotse Shar and the main land forms a semicircle of cliffs that rise to the north of the summits of Nuptse, Lhotse, Middle Peak and Lhotse Shar. Cho Polu and Makalu lie to the east of the Island Peak. Baruntse, Amphu and Ama Dablam lie to the south. Day 02: Kathmandu – Sight Seeing. Day 03: Katmandú – Lukla – Phakding 2.652 m.
Day 04: Phakding – Namche Bazaar 3.440 m.
Day 05: Namache Bazaar - Free Day. Day 06: Namche Bazaar – Dole 3.960 m.
Day 07: Dole – Machhermo 4.410 m.
Day 08: Machherma – Gokyo 4.750 m.
Day 09: Gokyo – Hiking to Gokyo Ri 5.483 m.
Day 10: Gokyo – Thagna 4.900 m.
Day 11: Thagna – Cho La 5.420 m. - Dzonglha 4.830 m.
Day 12: Dzonglha –Labuche 4.930 m.
Day 13: Labuche – Gorap Shep 5.160 m.
Day 14: Gorap Shep – Hiking to Kalapathar 5.545 M. – Dingboche 4.410 m.
Day 15: Dingboche – Chhukung 4.743 M.
Day 16: Chhukung – Island Peak B. C. 5.280 M.
Day 17: Island Peak B. C. – Island Peak Sumit 6.189 M. – Chhukung 4.743 M.
Day 18: Chhukung – Tyangboche 3.867 m.
Day 19: Tyangboche – Namche Bazaar 3.440 m.
Day 20: Namche Bazaar – Lukla 2.800 M.
Day 21: Lukla – Kathmandu By Flight. Day 22: Katmandú – Sight Seeing. Day 23: Departure from Kathmandu. 2 - 3 PAX ---------- Eu. / person. ---------- Eu. / person. ---------- Eu. / person. 4 PAX ---------- Eu. / person. ---------- Eu. / person. ---------- Eu. / person. Only 1 pax in group ---------- Eu. / person. ---------- Eu. / person. ---------- Eu. / person. Single Suplement ---------- Eu. / person. ---------- Eu. / person. ---------- Eu. / person. Airport – hotel – airport transfer. Transportation by car during sightseeing in Kathmandu. 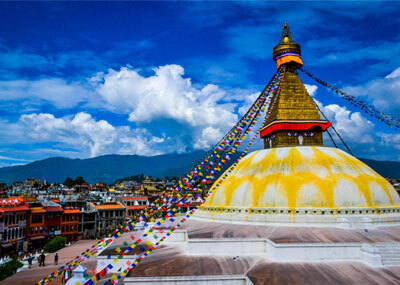 Guide for sightseeing in Kathmandu. Accommodation in standard Hotel in Kathmandu on B. B. plan. Flight ticket Kathmandu – Lukla – Kathmandu. Accommodation in teahouse and tents during trekking. Full board basis during trekking (breakfast, lunch, dinner with tea/coffee exclude other drinks). Professional English speaking trekking and climbing guide. Supporting staffs: porters, serpas, Cook, etc. Climbing, Trekking and entry permits. Personal clothing and all climbing equipment. Tips for guide, porters, driver, etc.